Give your child or grandchild a gift that will last a lifetime this holiday season! Winter swim lessons at the Kingsport Aquatic Center will help prepare your child for summer fun when our Outdoor Water Park opens in May. 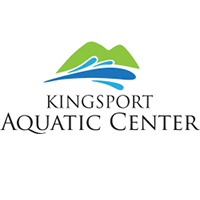 All group swim lessons at the Kingsport Aquatic Center are American Red Cross courses. Swimming lessons are offered in group, private, semi-private and adaptive settings. Each session includes eight classes, which are offered as Monday/Wednesday, Tuesday/Thursday or Saturday classes. A swim test is offered to help determine the correct class based on a child’s current skills. Winter swim lessons begin January 8th, 2018. For Aquatic Center or YMCA members, lessons are $50 for the first child and $45 for additional children. For non-members, lessons are $60 for the first child and $55 for additional children. Registration for the first session begins in person and online at 8 a.m. Saturday, December 16th and closes at 5 p.m. on Sunday, January 7th. In order to register on time, the KAC recommends creating an account prior to the day of registration. A $10 late registration fee will be added if you sign up after registration closes. If an account is created after 5 p.m. on Friday and before 8 a.m. on Monday, you will not receive a password until Monday at 8 a.m. Google Chrome and Firefox are compatible web browsers. YMCA members who plan to register online need to show their YMCA card to the KAC front desk staff, prior to registration, in order to update the system to reflect your YMCA membership. *No classes will be held 3/19/18-3/24/18. For a detailed description of our classes, to set-up an account or register, visit www.swimkingsport.com or call the Aquatic Center at 423-343-9758.